It seems all-but-certain that Sharp is readying a successor to last year’s Aquos S2, and now two images have surfaced which allegedly show the Aquos S3 in the wild. In what seems to be a growing trend, the pictured handset sports an iPhone X-style notch and a vertically-arranged dual-camera on the rear. 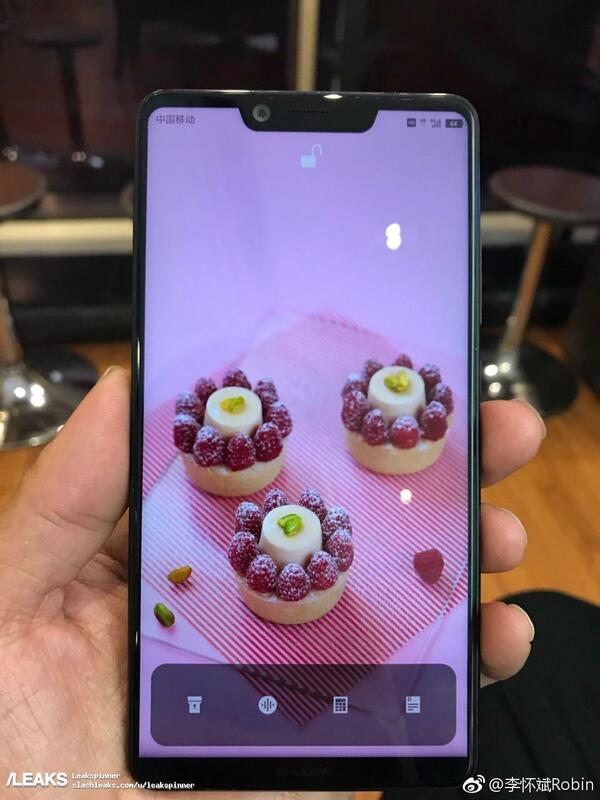 This tallies with a previous TENAA listing which pegged the display as a 5.99-inch panel with an 18:9 aspect ratio and a 2160 x 1080 resolution. Unlike the S2, Sharp’s next flagship also appears to sport a rear mounted fingerprint sensor alongside the dual-camera. The latter is allegedly a 12 MP and 13 MP sensor combo, while the selfie shooter jumps up to 16 MP. Other rumored specs include a 3,100 mAh battery, 4 GB / 6 GB of RAM, 64 GB / 128 GB internal storage, and a mid-range Qualcomm processor (supposedly either the Snapdragon 630 or Snapdragon 660). It’s also expected to launch running Android Nougat rather than Oreo. As for when that launch will be, there have been conflicting reports, but at this stage, it seems like MWC is the surest bet. Sharp apparently distributed invites to Japanese press for an event on January 16th, but that date came and went without a peep from the Japanese firm, although it did launch the Android One S3 towards the end of the month for its local market. Looking back, however, Sharp executives confirmed back in September last year that it would be attending the Barcelona show in 2018 with a new range in tow. It seems likely we’ll see the rumored Aquos S3 mini alongside the main flagship. We’ll be at the show to see all the new releases, so be sure to keep an eye on our MWC coverage for possible news regarding Sharp’s upcoming product range.